Now, our first one to watch isn't exactly new, per se. In reality we've been using this one for years! But nonetheless, it's an ingredient to watch for 2019 because its popularity and demand is really starting to soar. Plant based retinol alternatives deliver all the results of their non-alternative counterparts, without the unwanted stuff. Increased sensitization? Nope. Irritation? No. Peeling? Nada! Decreased fine lines? Yes. Better skin tone and texture? You bet! Free radical protection? Yeah! What's not to like right? Now, you might be wondering where this retinol alternative comes from. And the answer is, it depends! Here at RainShadow Labs we use crithmum maritum extract, which is derived from sea fennel. This plant grows by the ocean and imparts all the strength it has gathered living a life along the craggy cliffs of the sea right into your skin. It's a phenomenal botanical retinol alternative for any private label skincare product you'd want retinol to be in. Hydro boost type products are big this year, and though not an ingredient in itself, the concept does rely on a very important ingredient: hyaluronic acid. Now, it's important to note that there's a difference between natural hydro boost products vs. non-natural. One of the biggest being the source of the hyaluronic acid. We only use 100% vegan and cruelty free botanical hyaluronic acid; it's cleaner, works better and is the obvious ethical choice. But not every brand makes that same choice, and if clean and natural, cruelty free beauty is a priority for you, you're going to want to make sure you look at that ingredient deck. The second difference is the presence of petroleum products. Your skin has zero need for petroleum ANYTHING. But many private label skincare brands still use petroleum products in their formulas due to the low cost and smooth feel it adds. The problem with that? Well, that petroleum just sits on top of your skin, never really doing anything other than acting as an occlusive and barrier between your skin and the elements. So, instead of using petroleum derivatives in your hydro boost products, use real, pure and effective botanical hyaluronic acid. It's what puts the "hydro" in hydro boost. Activated coconut charcoal made its popular debut in 2018, but it isn't slowing down in 2019. The better version of regular activated charcoal, it's typically regarded as the gold-standard. Activated coconut charcoal is cleaner and more "pure", as well as more environmentally sustainable. Made from coconut husks and perfect for drawing impurities out of the skin, this ingredient creates an edgy look in private label skincare products that target clogged pores and blemishes. Superfoods in your skincare is the next big thing that's been around (here at least!) for years. Ingredients like spirulina, reishi, royal jelly and gotu kola are making their way from superfood smoothies to antioxidant packed skincare slurries. If you've been a RainShadow Labs customer for a long time, you'll know we often include these types of superfoods in our stock products; basically we consider them a must, and the rest of the world is catching on. One of the fun things about superfoods as an ingredient category is that there's so much variety that your product possibilities are virtually endless! For example, you could do a spirulina mask, reishi toner or gotu kola focused moisturizer. Or, you could choose one main superfood (or superfood combo) and have it be the focus for an entire line of private label skincare products. They also provide a great base for all product types and ensure that no matter the formula, the skin is getting some seriously effective and comprehensive protection. Additionally, superfoods allow you the freedom to technically stay within an ingredient category while greatly expanding the individual botanicals you're working with. This is a formulator and skincare geek's dream! 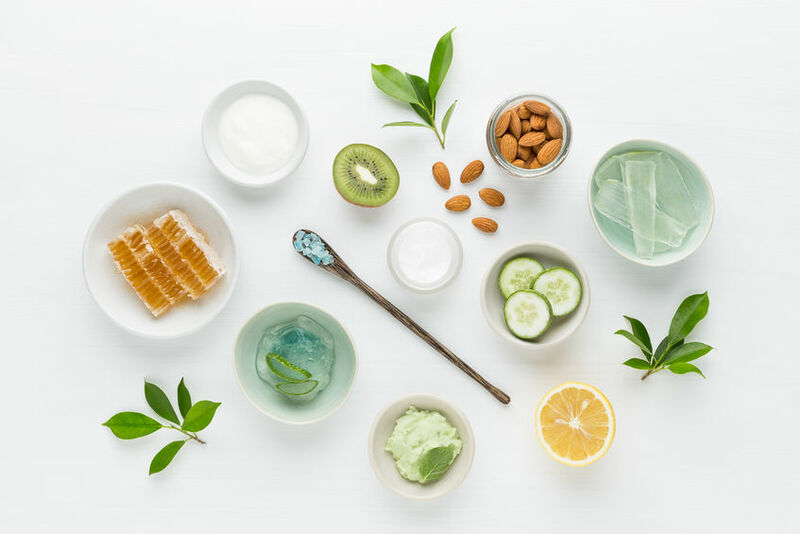 If you like results driven skincare that's fun and creative, superfoods are the 2019 ingredient for you. Irish moss is a seaweed with a smooth, mucilaginous effect that many health food enthusiasts take advantage of for gut health. But this cold water growing seaweed is absolutely fantastic for private label skincare! Not only is it full of essential minerals (as all seaweeds are) it also delivers anti inflammatory omega 3's and is incredibly soothing and restorative to the skin. Like all seaweeds, we consider it to be a foundational ingredient for truly effective natural and organic skincare. One of the interesting things about Irish moss is that it's actually an emollient, meaning it softens and soothes the skin. A property typically associated with things like plant oils. So, Irish moss is great for formulas that target thirsty, rough and irritable skin and would be phenomenal paired with a hydrating ingredient like hyaluronic acid. We especially recommend using it in formulas like rich, thick creams since it can actually help with the texture alongside its benefits for the skin. And there you have it! These are the ingredient trends to watch in 2019 for both personal and professional skincare lovers. If you already buy from or private label with us, then there's a very good chance you're already tapped in to at least one of these. And if not, it isn't too late! There's a difference between jumping on the latest bandwagon vs. capitalizing on popular ingredients and concepts that work. The difference is that products and ingredients that work stick around, regardless of what the spotlight-of-the-moment might be. Stick with what works; the spotlight's always bound to come back that way.